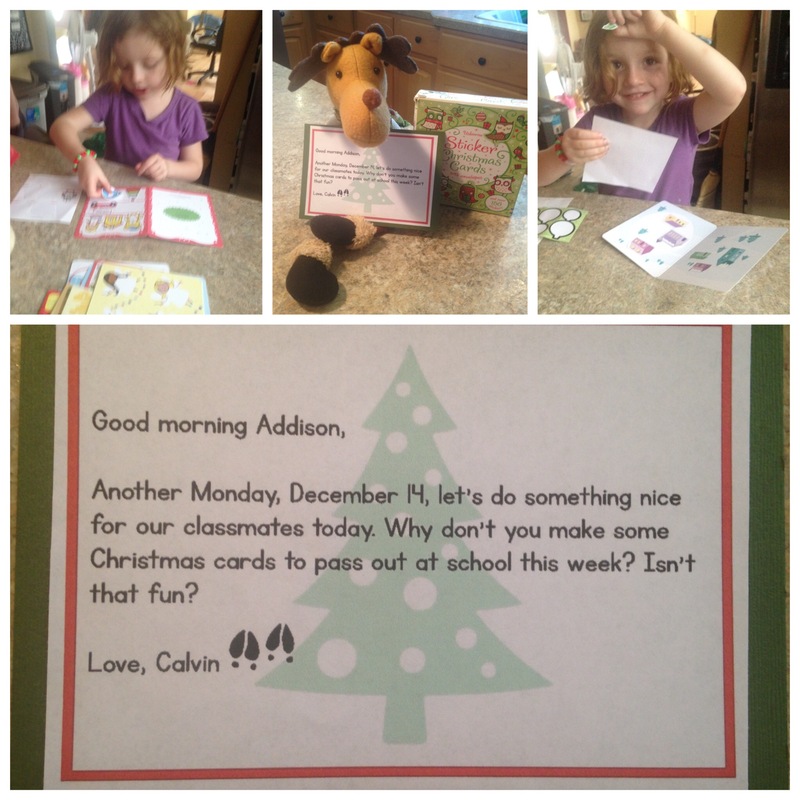 Another Monday, December 14, lets do something nice for our classmates today. Why don’t you make some Christmas cards to pass out at school this week? Isn’t that fun? We picked up this awesome card pack from Usborne books. It came with cards, stickers and envelopes! With her creativity, the cards turned out great! She even wrote her friends names on them all! I am so proud of her!